Normal pearls just a little too precious for you? How about a pearl that's been carved into a skull? 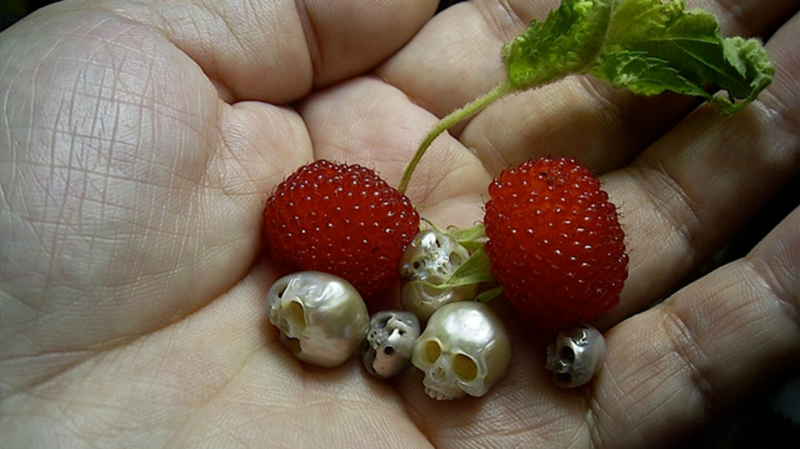 Jewelry designer Shinji Nakaba makes rings and brooches out of pearls he's hand-carved into tiny, eerie masterpieces. Nakaba has been working since 1974, and the artist's experience really shows. The unique pieces of jewelry are impossibly detailed and come with a tiny signature on the back. You can try to buy a ring for yourself here, but be warned: they sell out quickly. When he's not working with pearls, Nakaba likes to fashion other kinds of jewelry from unconventional materials, such as plastic bottles and aluminum cans. “I just want to bring brand new life to something that has no value,” he told Magnifeco.